Ms. Barron was born and raised in Los Angeles, California. At the age of 15, she earned a scholarship to attend a college preparatory boarding school, Gould Academy, in Bethel, Maine. While in prep school, Victoria spent her senior year studying in France. Following graduation, Ms. Barron attended the University of California, Berkeley where she obtained two Bachelor of Arts degrees in Political Science and Sociology in 1989. She then received her Juris Doctorate from the University of San Francisco, School of Law in May of 1993. While in law school, she was awarded Best Brief in Moot Court and acted as a teaching assistant in Contracts and Evidence. Ms. Barron was admitted to the California State Bar on December 13, 1993. She is also admitted to the United States District Court for the Northern District of California. Following law school, Ms. Barron practiced complex civil litigation in San Francisco. 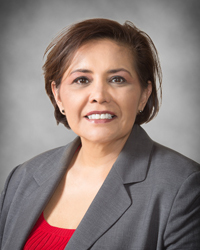 She has exclusively practiced Workers’ Compensation for the past 15 years and is recognized as a Certified Specialist in Workers’ Compensation Law by the California State Bar of Legal Specialization. In her free time, Ms. Barron loves to travel and has traveled to over 50 countries of the world.